Come join us for some of the best hickory smoked barbeque anywhere in the south! Our restaurant is conveniently located in Talking Rock, GA just North of Jasper and South of Ellijay on Highway 515 at the intersection of Carns Mill Road. While in the beautiful North Georgia Mountains you can choose to dine inside or outside. We have plenty of covered seating available. Just come inside and place your order at the counter, fill your drink, and then we do the rest. Or in a hurry, just place your ORDER ONLINE or CALL 706-253-7675 and use our convenient PICK-UP WINDOW. At Bigun's Barbeque®, we specialize in customer satisfaction. 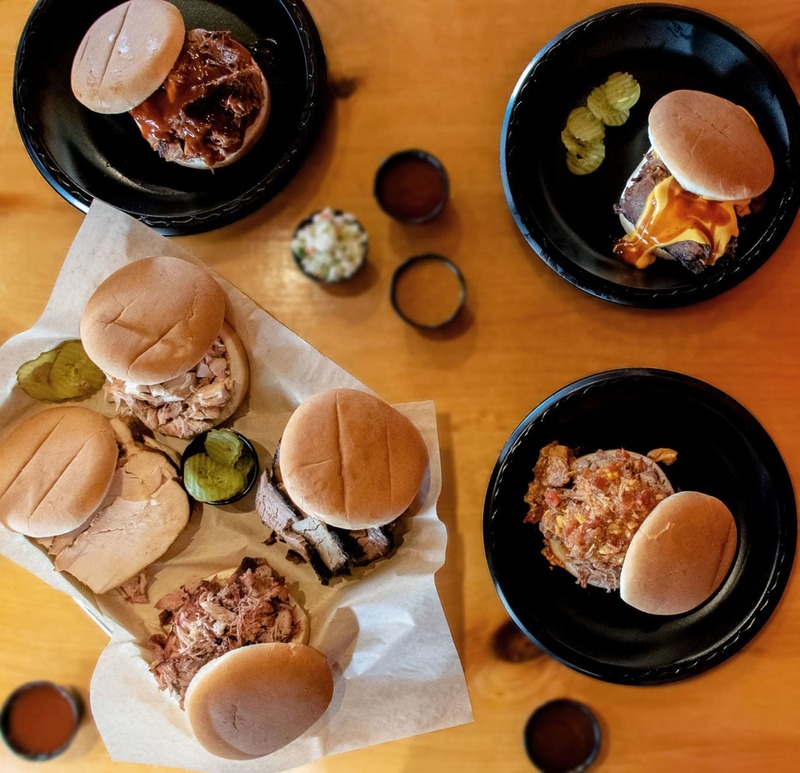 If you're looking for the best BBQ, look no further! 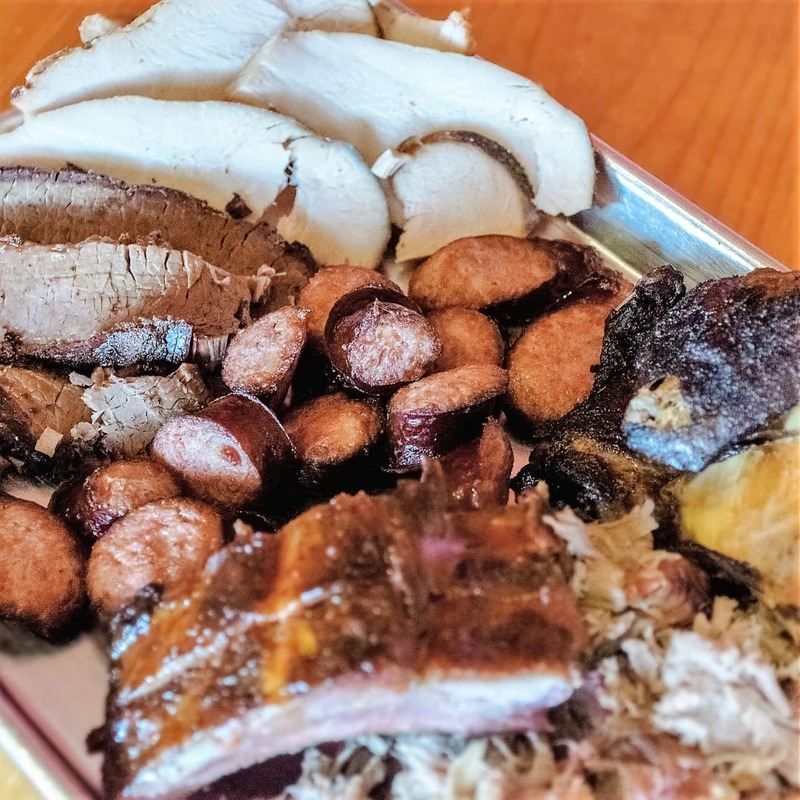 Enjoy our delicious hickory smoked meats, choose from pork, brisket, baby back ribs, chicken, turkey, and smoked pork sausage, complimented with your choice of savory sauces and our many side items. If you're travelling by way of Hwy 515, stop by Bigun's Barbeque® we have plenty of goodness besides our delicious barbeque to take with you. We offer pork rinds (prepared fresh daily), homemade chocolate chip cookies, jams and jellies such as T.O.E. Jam, Frog Jam, Apple Butter, Pickled Okra, Chow Chow, and much more! We also have our popular BBQ sauces available too... Original Sweet, Talking Rock Tangy, Hot, Sure-Nuff Hot, and Carolina Mustard. 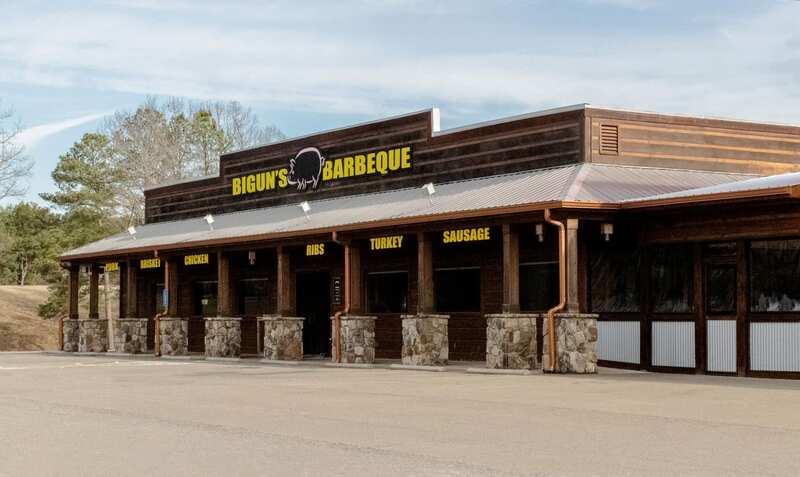 When you visit, check out our Bigun's Barbeque® t-shirts with tag lines Talking Rock, Georgia , Where SIZE Always Matters, and When It Comes to BBQ Nobody Beats Our Meat and a variety of Bigun's Barbeque® caps. 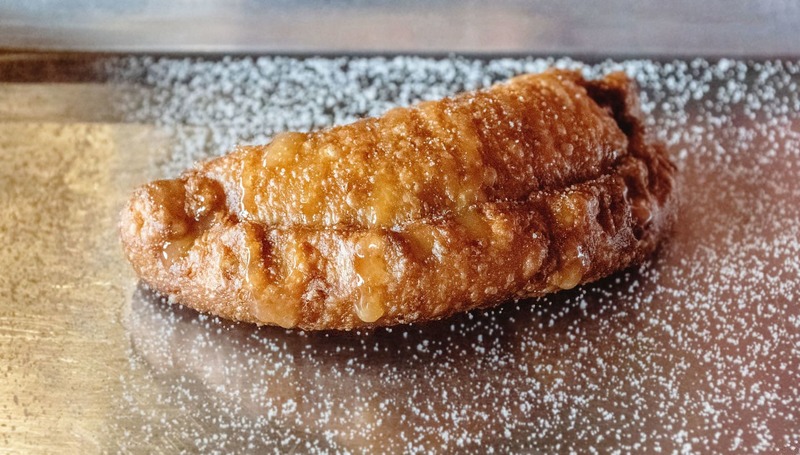 Don't forget to try our cooked to order fried apple pies.